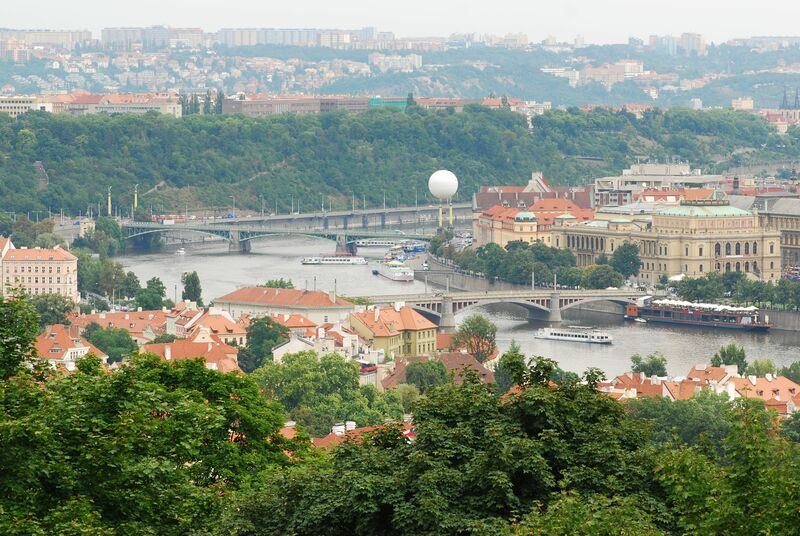 Enjoy one of the best views of Prague from the historical Petrin Hill and Observation Tower. 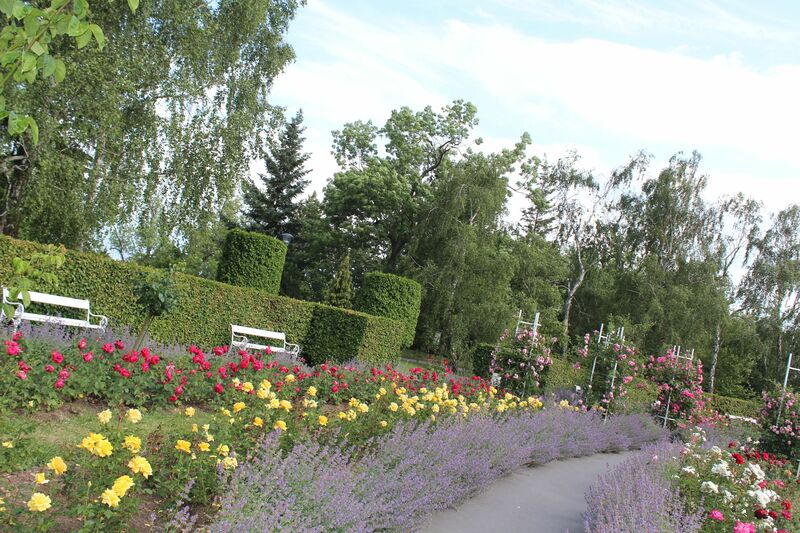 Petrin Hill also includes a manicured garden and the famous restaurant Vinarna Nebozizek. 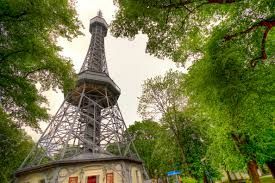 Petrin Hill is the largest green space in Prague city centre and offers not only a fantastic view of the city from Petrin Tower - a replica of Paris's Eiffel Tower built for the 1891 Prague Exposition - but also a chance to relax and escape the crowded city centre. 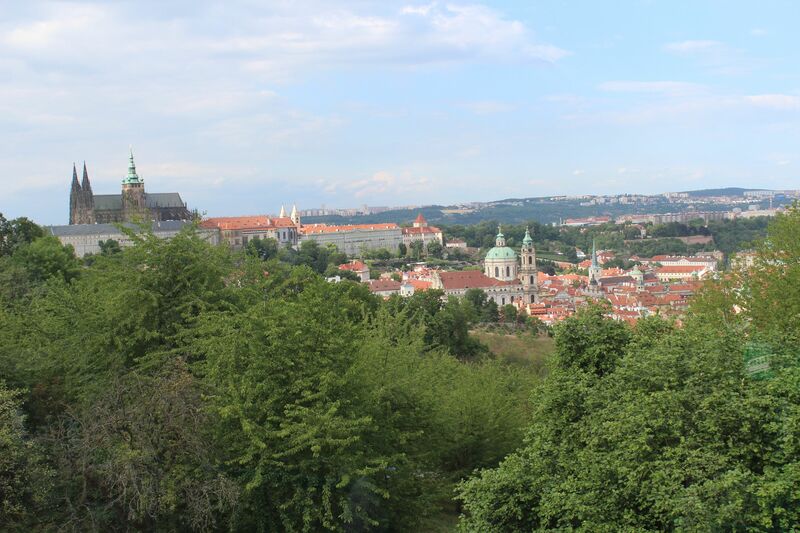 Also worth looking out for are the statues of Czech poets, the Rose Gardens and the "Hunger Wall," several miles long, commissioned by Charles IV and built by starving peasants in exchange for food. The "Magical Cavern" gallery halfway up the hill showcases strange, colourful artwork, and kids will have fun getting lost in the Mirror Maze at the hill's peak. If you don't fancy making the climb to the top of the hill on foot, there's the option of a ride the funicular for the cost of a normal tram ticket. The funicular - originally water-powered but replaced with electricity in 1932 - was built at the same time as the tower. While it is an excellent place to take the kids during the innocent hours of daylight, Petrin Hill has always had slight pagan connotations. In April there is the unusual and particularly spooky spectacle of Witches' Night, while on May Day it serves a venue for ardent lovers to meet.